To say that I am JAZZED about our Dream Team 2020 would be an understatement, which is saying a lot because jazzed is my favorite exclamation word! We have taken my 4 years of Dream Team experiences and added all the good parts of each and taken out the non-fav parts to create this super elite team. We are only going to be accepting 6-10 girls for our 2020 team! Last year we received over 75 applications and had a 22 girl team. So this year is going to be super T O U G H to choose our team, but I have the greatest feeling for what this experience will be for this team. If you are new around here and are thinking, “What the heck is a Dream Team?” Let me break it down for you! 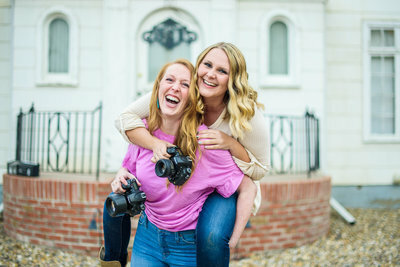 Our Dream Team is an exclusive experience where if selected, you get to participate in multiple photo shoots where you receive digital images on top of you senior session. This year we will have one fully styled session, including hair and makeup, outfits and props! On top of that session, there will be opportunities to model for a variety of things and photo shoots throughout the year. There will be chances to win sweet prizes like $50 gift cards to The Key and professional prom makeup! ON TOP OF ALL OF THAT, this year our girls will have the opportunity to earn back CASH with their referral cards. For every senior they refer to us, they will get sweet green bills in exchange! Ka-ching! Holly and I are SO excited for this team and we cannot wait to read your application! In order to apply you will need a parent/guardian’s permission, you must be graduating from a Montana High School in 2020, and you must be super jazzed about your senior portrait experience!!! Is that you?! Click HERE to apply!